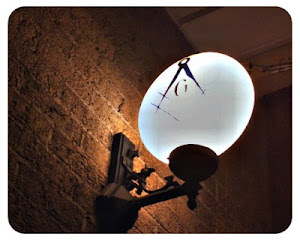 The Midnight Freemasons: No 13th Floor? It Must Be A Masonic Conspiracy! I'm sure everyone has noticed that in many hotels and skyscrapers, builders have left off the 13th floor. It's due to a condition known as triskaidekaphobia--yes, that's right, fear of the number 13! Otis elevators estimates that about 85% of tall buildings do not have a 13th floor. Some buildings skip it altogether. 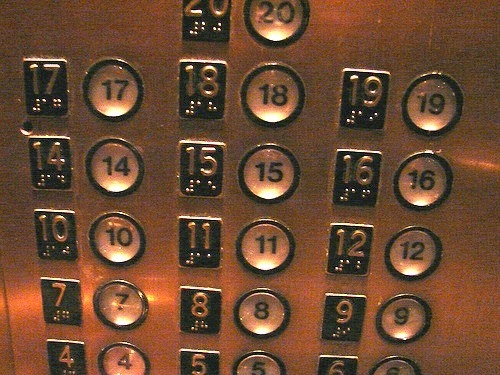 Some might refer to the 13th floor as 12B, or use it as a mechanical floor. Thirteen is just considered an unlucky number. According to superstitious folks, it's unlucky for a number of reasons. There were 13 people at the last Supper. Also a year with 13 moons was unlucky for church monks in charge of keeping track of the calendar. It caused confusion, rescheduling of religious festivals, etc. There are traditionally 13 in a witches coven. Of course then there's also Apollo 13--the only unsuccessful moon mission. It's a common fear and it has nothing to do with Freemasonry what-so-ever. But Why Is Friday The Thirteenth Considered Particularly Unlucky? 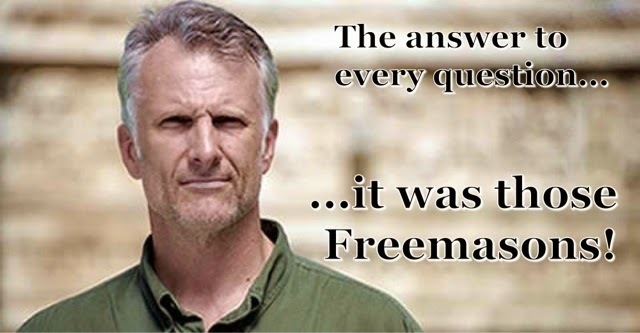 Well that's not exactly a Masonic conspiracy either--unless you believe there is a link between the ancient Knights Templar and modern Freemasonry (which a few researchers believe does exist). On Friday, October 13, 1307, King Philip had Knights Templar from all over France rounded up by his agents, tortured and once confessions of heresy were extracted from them, finally executed. This brought an end to the order of warrior monks that had protected the Holy Land for more than 200 years. Pope Clement later issued a papal bull ordering all the Templars arrested and their assets seized everywhere. Every indication is that the Knights Templars were not actually destroyed for heresy, but because of the tremendous wealth, property and power they had attained--all things that King Philip wanted. Others believe that the Knights Templar may have been in possession of certain truths that the Roman Catholic Church didn't want known. Speculation about what that might be runs wild and provides fodder for conspiracy theorists and fiction authors like Dan Brown alike--was it the Holy Grail? The Ark of the Covenant? Evidence Jesus and Mary Magdalene were married? A bloodline of Jesus Christ? That's a very short version of a very long story. WB Adam Thayer wrote a much better piece about the Knights Templar here if you want to read a more detailed account. What ever the reason for the the destruction of the Knights Templar, it is one of the possible reasons why Friday the 13th is considered unlucky (although there will be a few that disagree with that assertion), and why that date on our calendar give some a sense of dread. And by the way--Happy Friday the 13th!